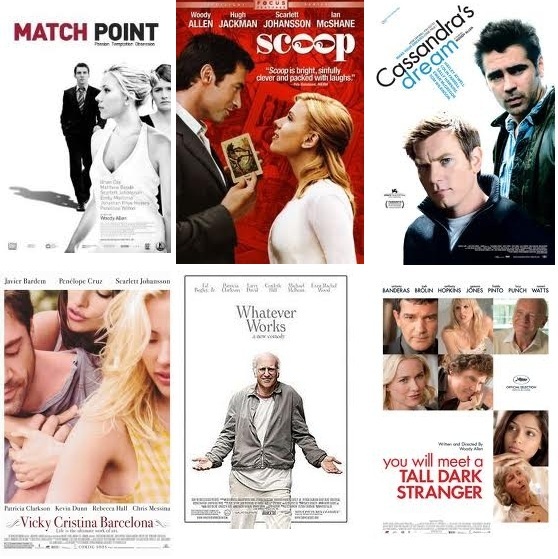 As a matter of fact, during the next 10 days after I wrote about Woody Allen on the10th of this month, I saw 6 films written and directed by Allen I hadn’t seen. Because it should be taken into account that I saw them on line (I mean I didn’t spend much time and money for watching them), I found some amusement in all. It’s a murder-related romantic comedy, which would be just like his film in a sense. However, it should be more refreshingly unrestrained and bouncingly humorous, and it could be like that if the times and performers were different. Opinions will be divided on this matter, but I like the film and think it’s an enthusiastic work in which Allen tried to depict English working-class men, instead of an American in Europe (some people say they don’t talk like a guy in that class, though). He is fortunate to have an opportunity to shoot a film as he likes. Well, basically, it’s about romantic cross-cultural experiences of two American women in Spain, so let’s sit back and enjoy the beauty of its locations and stars. 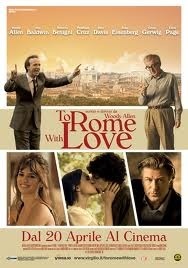 In the scenes of Catalunya , Penélope Cruz is amazingly gorgeous. How old is she? I heard Allen wanted to shoot it in 1970s, and it should have done. After a interval, it was set in “his town”, New York, so I had mounted my expectations too much on it. The same occurrence, in which an actor (Larry David in this case) looks increasingly like Allen as the drama unfolded, is repeated. I liked this one with perfect ironic happy ending the best of all 6! Though there is no villain, selfish people that Anthony Hopkins, Naomi Watts, and Josh Brolin play pursue egoistic interests and …. As you sow, so you shall reap. Former title of the film was The Bop Decameron, but (maybe) considering box office impact, it was changed into the one that might mislead people. I’m sure one who expects Rome version of “Midnight in Paris” would feel disappointed with it though, at least, the audience can enjoy beautiful streets in Rome. For something completely different, the rainy season ended, and hot weather continues for the 5th consecutive day in Tokyo. 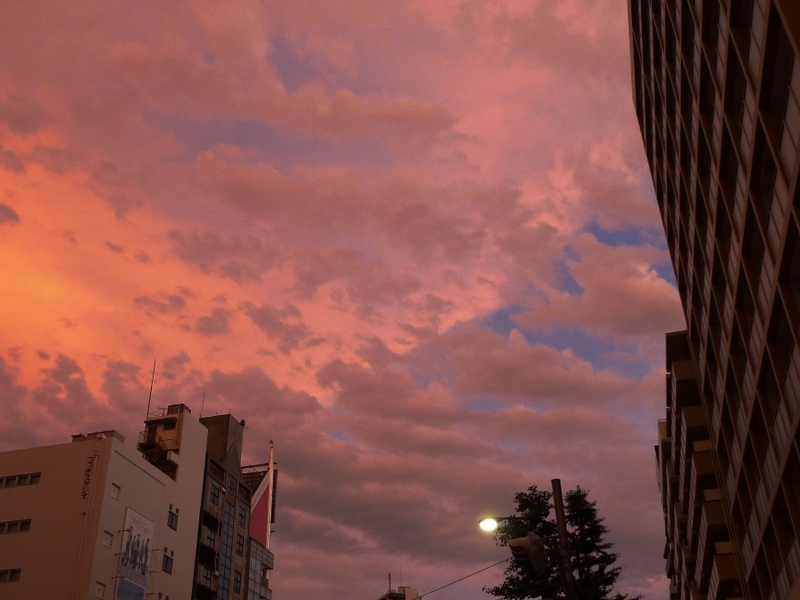 During that weather, I sometimes find the unusual twilight sky like in the picture blow. 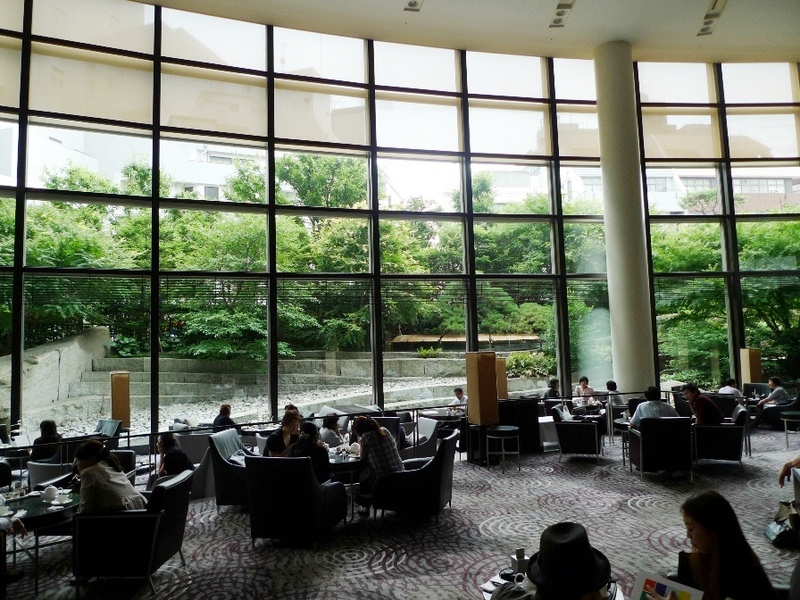 This time, it’s a hotel lounge in Shibuya. Though Cerulean Tower Tokyu Hotel founded about 10 years ago might pale a little by comparison with historic Japanese and foreign-affiliated fancy hotels in Tokyo, the new face is the most luxury hotel in Shibuya area, which is the only place where we can have traditional afternoon tea. Last Sunday, I had a chat with friends from my school days for couple of hours over Full Tea at Zabou lounge on the lobby floor of it. Well, highborn ladies and gentlemen in the British Empire may be surprised by people in the Edge of the World who are enjoying their proud tradition. However, in the first place, we have a longer history of tea culture than that in Britain. Naturally, we have grounding in enjoying this foreign one that is far more casual as compared to the prestigious Japanese one. 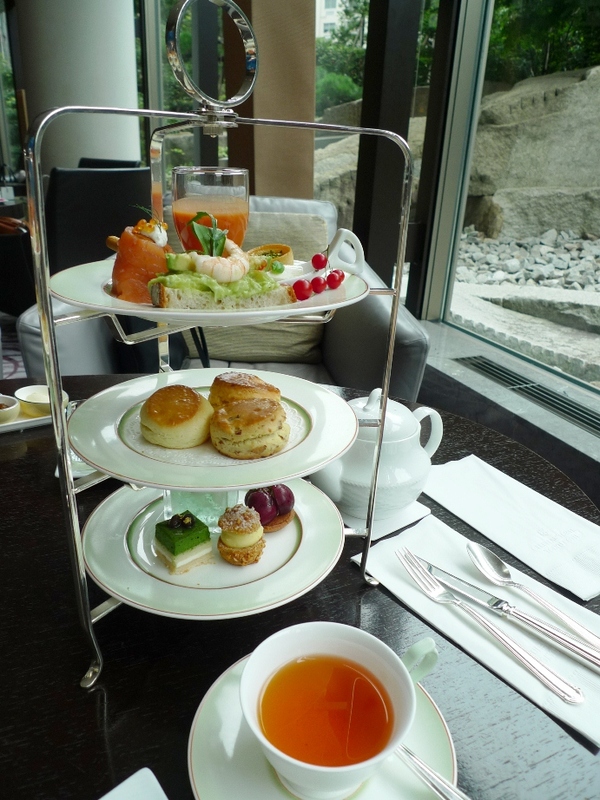 Now, major fancy hotels serve Full Tea with tea (including English, Chinese, Japanese, and herb tea), savories, scones, sweets, and dessert, and many customers, mainly women, spend relaxing hours with a tea cup in hand. Going back to the hotel, the service was good, and the interior decorating was not bad. But, I think it should replace scratched sofas as soon as possible because dilapidated furniture abases itself. 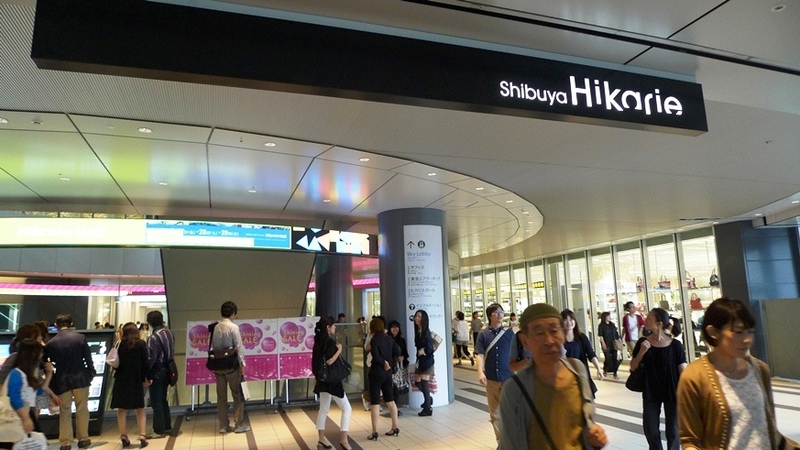 After leaving the hotel, we went to the Hikarie, a building with a shopping mall, restaurants, art galleries, and a theater in Shibuya, opened in last April. From that time on, we kept away from it because it was full of people. It was still crowded, but there are some concerns about the retail shops since there are too many similar household good shops. I doubt if they can survive for several more years…. It’s not a mall or hotel lounge but a hospital near my house. I went there last Tuesday to meet my cousin who visits the hospital once every three months. 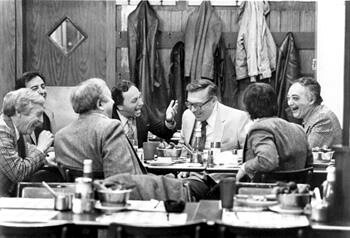 We sometimes meet and catch up on each other's lives on this occasion. Usually, we have lunch at a restaurant nearby the hospital, but we dined at a hospital restaurant that day because I didn’t have time. Now it's not uncommon that famous restaurants have opened their branches in renovated hospitals in Tokyo, so I was expecting one of those, but unfortunately, it was an ordinary staff canteen. Anyway, I had the broiled eels on rice. Tokyo was in the midsummer heat until the first half of this week, and that day was another hot day. Until the day before, I had got tired and had a low appetite because of the heat. However, broiled eels stimulate our appetite even under such circumstances. There is an old saying that when you eat eel containing B1, which supports the nervous system and muscles, on "Doyo no Ushi" Day （18 days before the first day of autumn, on the day of the Ox, from the 12 symbols of the Chinese zodiac）, then you won't suffer from the summer heat. 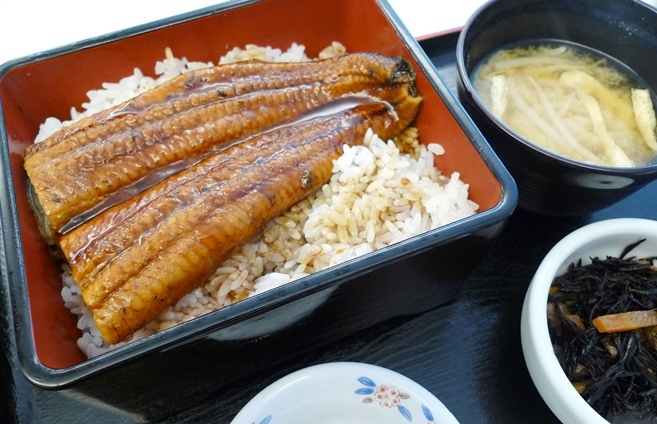 We are very fond of broiled eels, which are luxury food item in Japan, at all times, but especially, during this time of year, it’s a special meal for Japanese people. That’s why even the staff canteen serves the dish that is about double the price of other set lunch meals. This year’s Doyo no Ushi Day is July 27th. Last month, I went to a day hot spring named Ooedo-onsen Monogatari in Odaiba, the reclaimed land area in Tokyo Bay, by the Yorikamome train. 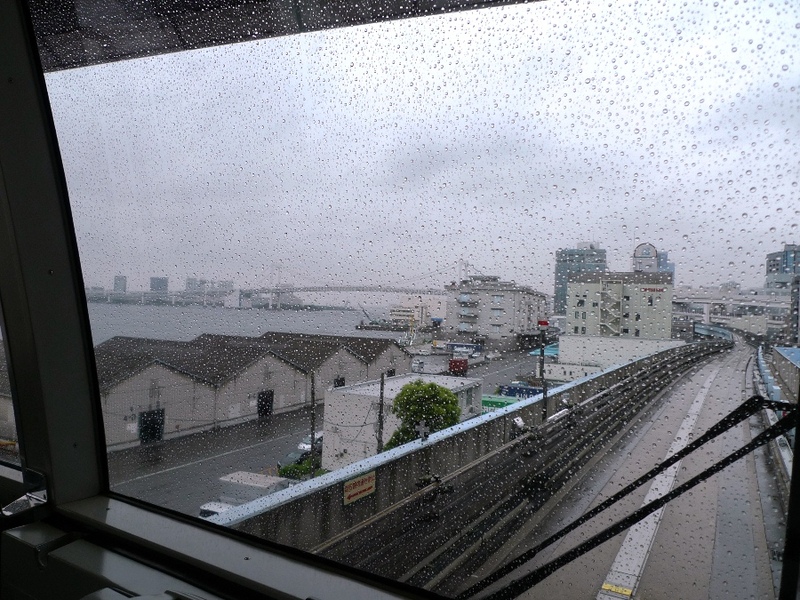 It had been a long time since I had last taken this metropolitan government-run Rinkai Line. Though I have been to many spas in Tokyo, it was my first visit to the spa (opened in 2003) that calls itself a Tokyo’s first and only hot springs theme park. 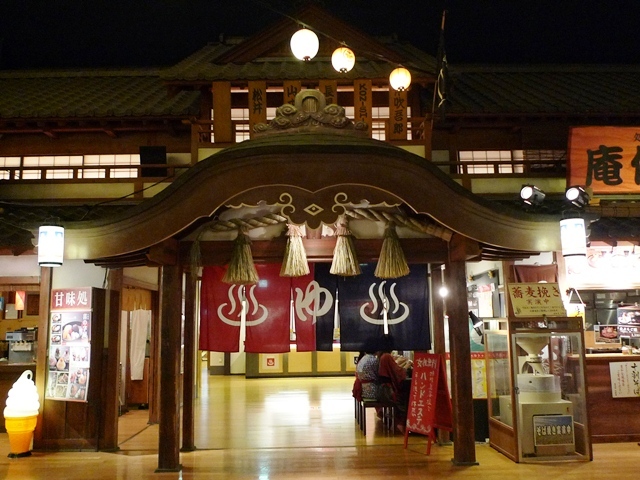 The building is constructed in traditional Japanese style. While a main change house is situated next to a bathing area in other spas, it’s in entrance area away from a bathhouse. I mean, visitors have to change into Yukata (a Japanese bathrobe) for using the facilities. 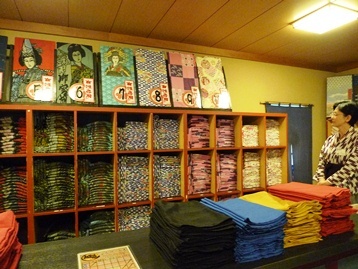 Left: Visitors choose one of yukatas at the rental counter in the entrance zone. 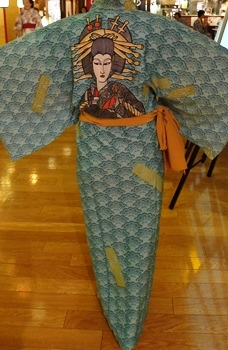 Right: I chose this oiran (a high-class prostitute) yukata on which I shall never put again. I experienced a moment of déjà vu when I went inside it. Then, I reminded Raumen Museum I visited last May (the previous post). 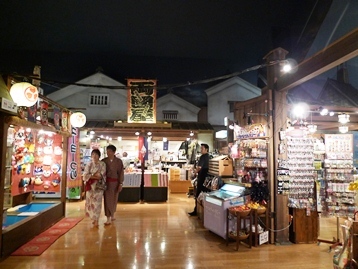 The themes of the two spots are different: while the museum is decorated with the image of 1950s Tokyo, the spa’s theme is Tokyo in the Edo Period (1603-1867). However, “theme-park-style” commercial facilities, which were popular from 1990s to the early 2000s, are similar in tone to each other. 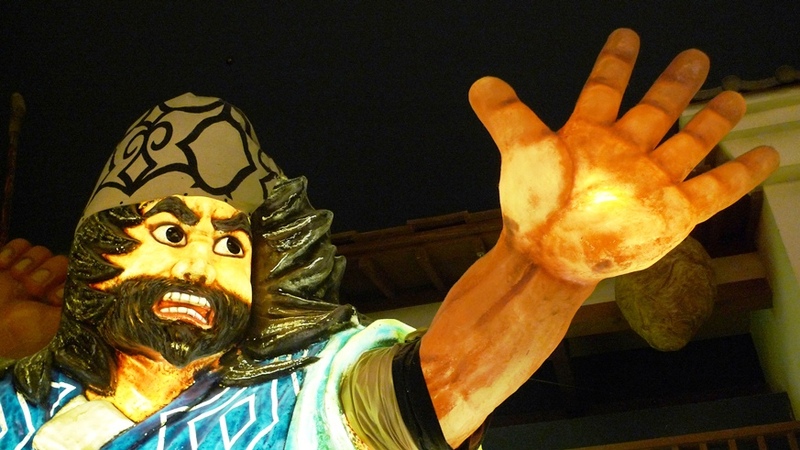 The day spa reproduces streets at the festival in ancient Tokyo consisting of restaurants, food stands, souvenir shops, and attractions like fortune-telling, blowgun darts, ninja-knife throwing, etc. The bathhouse is situated in the streets. The bathing area was quite attractive. There were plenty of facilities including one filled with 100% natural hot-spring water pumped from 1,400 meters underground, small ones with different temperatures, open-air baths, dry and steam saunas, etc. 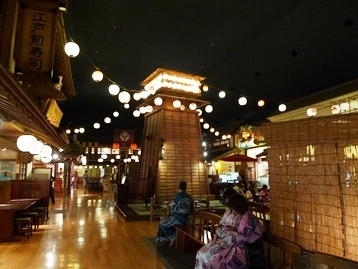 The spa provided other services: spa treatments, Japanese-style full-body and foot massages. There were multiple resting rooms and large tatami rooms where you can relax. 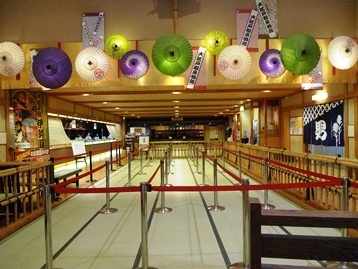 Though it had everything needed for a day spa, personally, Ooedo-onsen offering extraordinary experiences wasn’t my kind of spot. 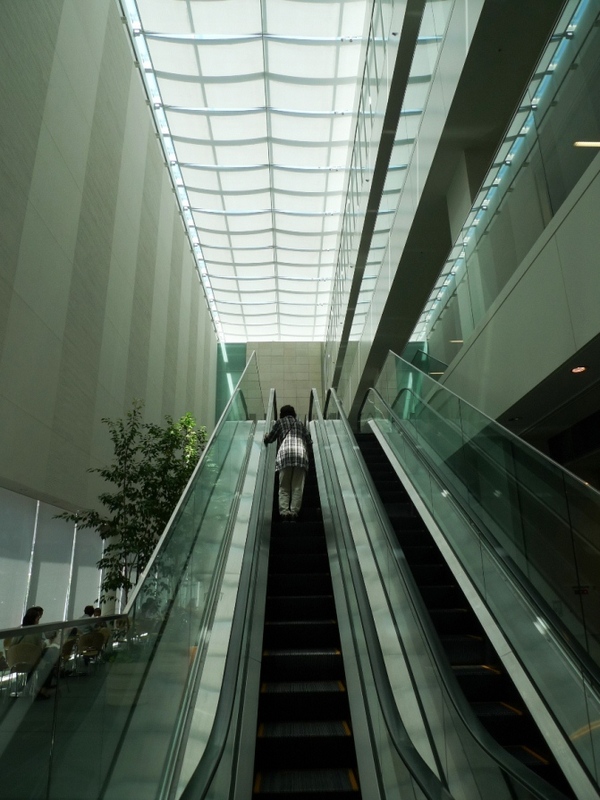 I want to use one as an extension of our daily lives, so I felt its interior and service directing to be superfluous. 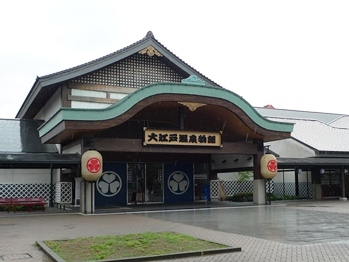 However, it’s a perfect place for beginners of Japanese onsen and foreign tourist. 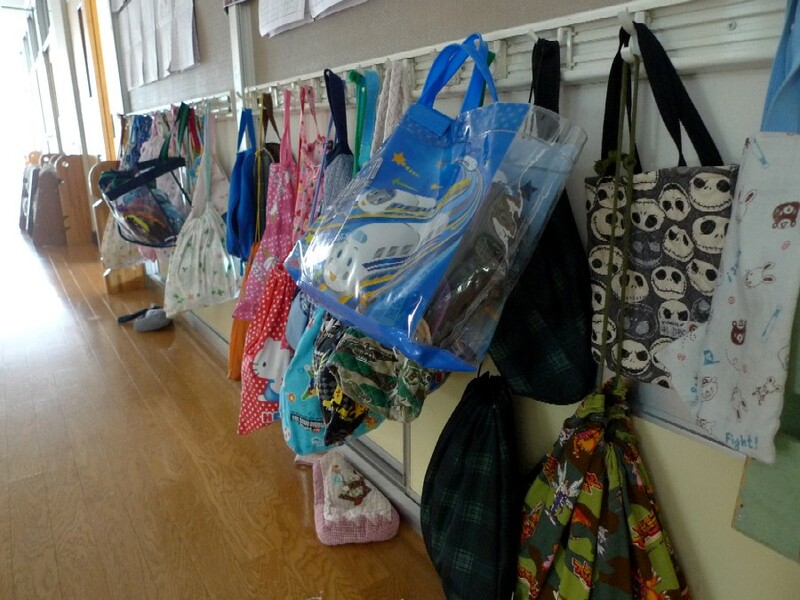 I regularly visit to an elementary school in downtown Tokyo on business recently. 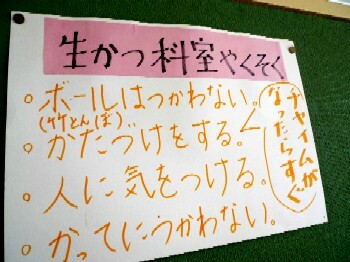 If you have an elementary school child, the pictures are common sights. 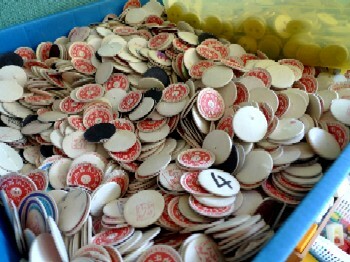 For childless Kinakiw, however, these fill me with nostalgia. I went to a nearby public school, just like this one. 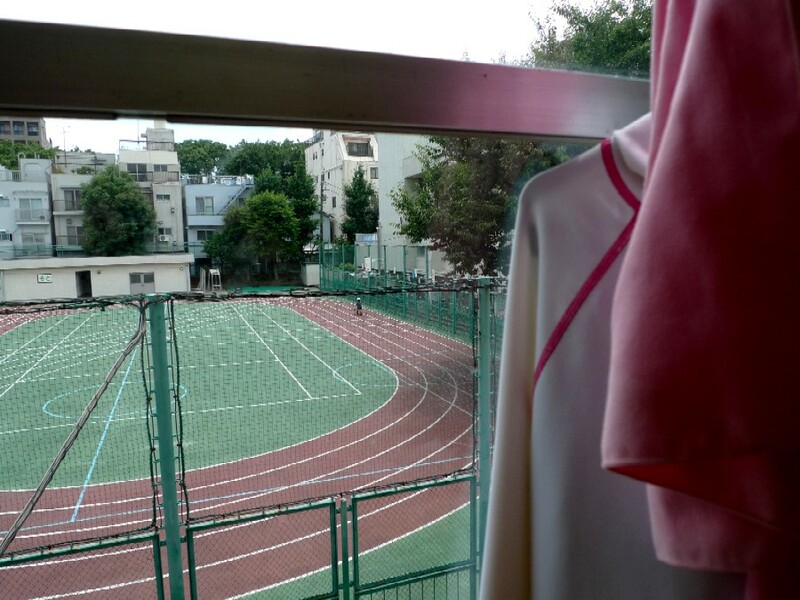 Though times are different now, many things basically don’t change: a small school yard with a 100-meter oval track, collecting milk-bottle covers, hanging bags containing gym clothes bag on the wall of the hallway, and so on. A major change, maybe, is a decline in student numbers due to falling birthrate. That’s a national trend but especially prominent in the urban central area. When I was the student, there were 2 classes of 33to 35 children in each grade. Now, this school has one of less than 20. The situation of my old school is worse. There are less than 10 new students for several years. I’m afraid it would be forced to close and united into one with others. The old school now actively accepts foreign children to attract Japanese parents inside and outside the school district. Well, many parents want to send their children to an international school, but for many of them, it’s difficult in terms of money and other conditions. So if the things work out, it would become a distinguishing one that would be chosen by those parents. However, it’s just a battleground for other schools in the area and won’t lead to a comprehensive solution to the problem. Ho-hum. Sooner or later, the school full of my memories would be destined to vanish. I have a longstanding relationship (?) with the director. 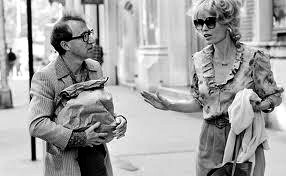 I started to develop a taste for Woody Allen (1935 -, an American screenwriter, director, actor, comedian, and so on), since I watched “Interiors (1978)” on late-night TV show by chance when I was a high school student. This major box office flop about three sisters who are in anguish over relationships with their mother and problems of one's own was made in 1978, one year after “Annie Hall” gave renown to him. Though I had little in common with the situation the sisters in if I recall, Kinakinw in puberty deeply sympathized with the film and become caught up in the director. Then, I saw all his previous films that were available on video and that were screened in traditional cinema houses. I loved his senses of humor and irony and felt as if I shared agonies or joys of life (I never attracted to him as “a man”, though). Under the influence of the man, I started watching Ingmar Bergman and Federico Fellini and listening to Cole Porter. I completed his movies directed and written by him and saw almost all ones featuring him. Once, a last piece was "What's Up, Tiger Lily? (1966)”. I haphazardly found a small theater screening it in Saint-Germain- des-Prés and rushed into it. Now, I can get its DVD by a quick mouse click…. I wasn’t extremely shocked by the Soon-Yi scandals. 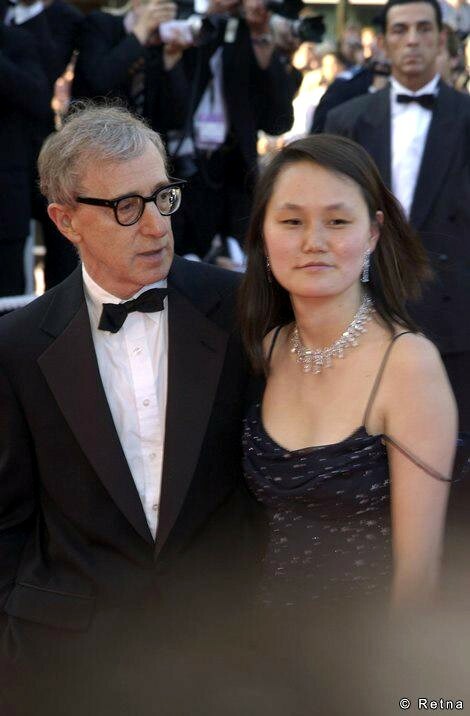 Allen had a sexual relationship with one of Mia Farrow’s adopted children, 20-year-old Soon-Yi. Allen and Farrow never married, but they continued nice, at least I thought so, relationship, adopted two children, and also had one biological child. The most disappointing to me, personally, was his movie lost the fantastic actress forever. His film feature many fascinating actresses, which was another reason why I liked his film. Among them, for the screenwriter whose private life informs his works, Farrow and Keaton (both were Allen’s partner on-screen and off) were special: they brought mental stability to him and allure to a film. I didn’t expect this failure in male-female relationships of a long-term stable one, but that was s worst breakup. Anyway, I still saw his movies every year, but since 1998, his new one changed to like a once-yearly greeting card from relatives rather than what I looked forward to. 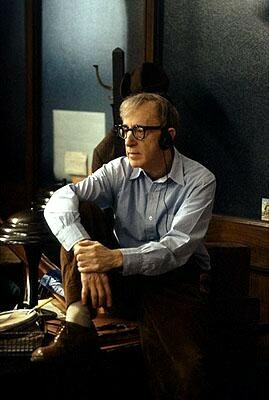 What triggered that was “Wild Man Blues (1997)”, a documentary film about the musical avocation of Woody Allen, that features several scenes of personal conversations between Allen and Soon-Yi. I was interested in what is Soon-Yi. They finally got married preceding year, so I wondered what her attraction was. Well, she was, I observed, a woman of my generation who was a bit selfish but basically didn’t impress me much. Period. I remember I was dissatisfied with his choice: why her? The fans are self-centered by nature. Once I got disappointed with the choice of his private life, something about his movies at those days that make me felt uneasy started to grow on me. For example, personally, he didn’t seemed to be the right age for his role when he was in a film, Allen’s shadows behind a featured actor bothered me, and regular series of neurotic lines seemed to be unnatural when they came from the other actors. Since 2005, I hadn’t seen one in a theater because I felt I could watch it by DVD later. However, I didn’t watch most of them. Then, I finally saw the latest one last week almost a moth after the first run! Though it was new, it brought back some memories. After all, I do like his films, though there is no magical interaction between Allen and an actress who shares life with him. Now, there are 6 unopened greeting cards in my mailbox, so I’m going to open them bit-by-bit. They have been together for 20 years. Maybe, they are a nice couple. Don’t you think they don’t seem more than 35 years apart in age?